Add steak to a large plastic bag. In a bowl, stir together Bloody Mary mix, vodka and lemon juice. Pour marinade over steak and add sliced lemons. 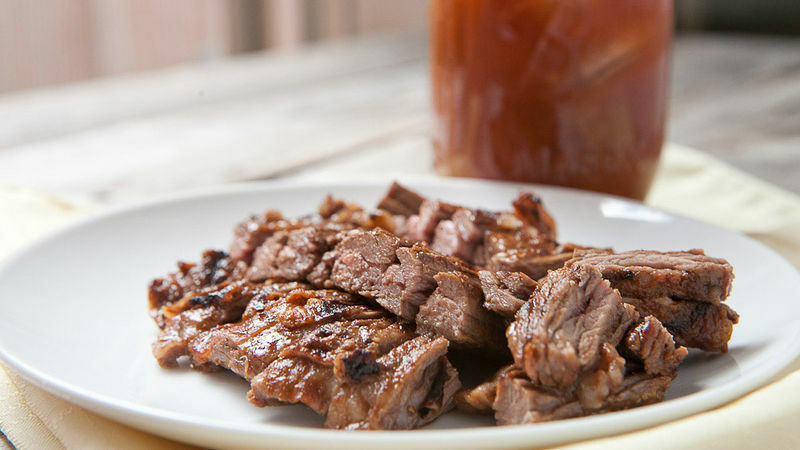 Let marinate for at least an hour, but overnight is best. Remove steak from marinade and grill over medium-high heat for 5-6 minutes per side, until cooked through to your desired temperature. Remove steak from grill, cover with foil and let rest for 5 minutes. Then slice or chop steak and serve while warm.